Canvas wall tents have been used for hundreds of years. There are documented cases of them being used in the military going back as far as 1740. They eventually became commonplace for trappers, mountain men, prospectors, and of course, soldiers. The general design was perfect for these kinds of rugged individuals. In particular, canvas tents traditionally have tall vertical walls (hence their often being called “wall tents”), which make it easy to move about comfortably without being hunched over. Your standard tents and even teepees have so much unusable space as you get closer to where the floor meets the wall/ceiling. See how this affects sleeping capacity. Unfortunately, we do not at this time sell period-accurate canvas tents. 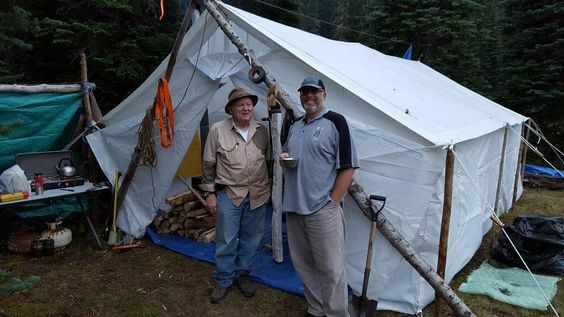 That is, all of our tents come with a few more modern conveniences that you would expect from the tent of 160 years ago. Ours come with screened windows, extra ventilation, a superior wire support system, not to mention a modern canvas material that is much more durable. 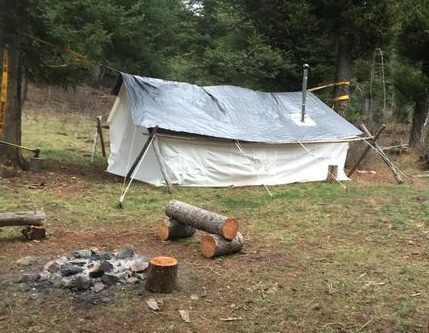 That being said, we still find many people purchasing an Elk Mountain Tent for these very reasons, even when they intend to use them as Civil War tents. Often they choose to hide the more modern features by closing the window flaps and using wooden poles. 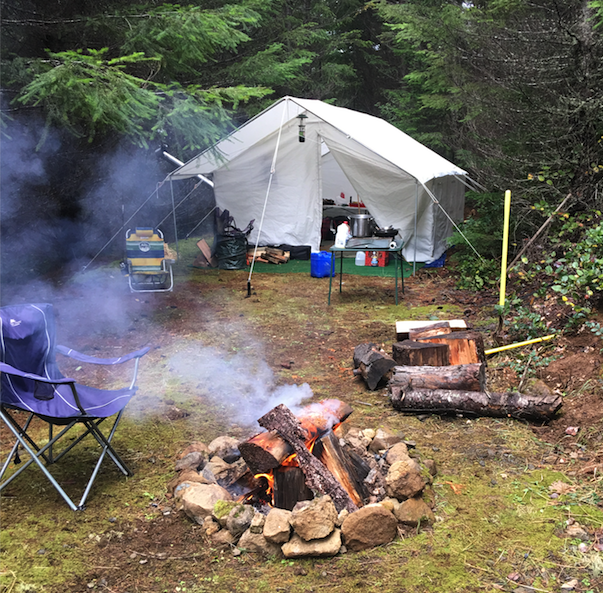 Check out our canvas tent selection.